Tidying Up with Marie Kondo is transforming the lives and homes of countless people around the world. But, did you realize that you can apply the things Marie Kondo teaches to so many other areas? This is certainly the case when it comes to packing a suitcase. You might be wondering if it’s better to roll or fold clothes. What if you only have a carry on to work with? What is the best way to pack a suitcase for kids? 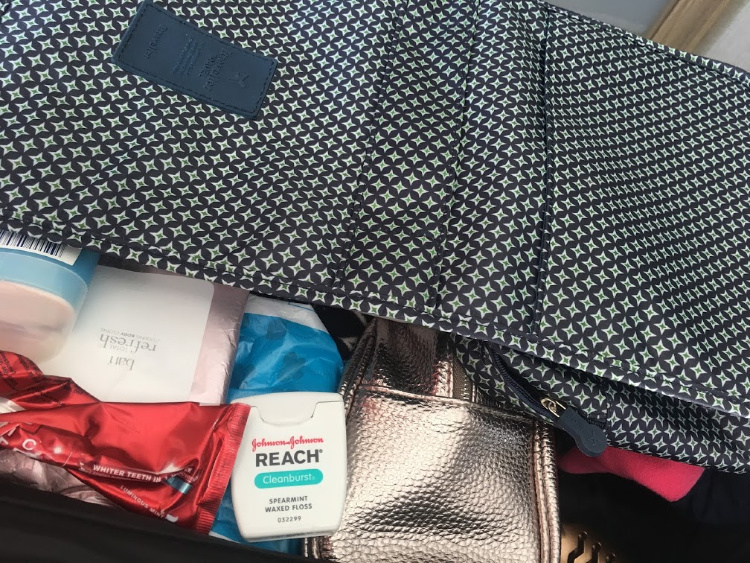 How can I pack a suitcase using tips from Tidying Up? If you’ve ever wondered any of these things or are just looking for the most efficient way to pack a suitcase, this is the post for you. 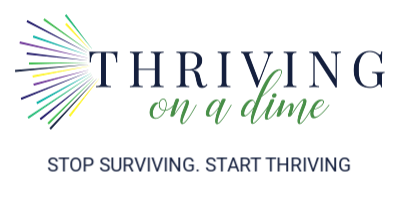 If you haven’t watched Tidying Up or have no idea who Marie Kondo is or what she teaches, read these two posts first. This one here will tell you if you’re a good fit for using Marie Kondo’s principles. This post here gives you a brief summary of Tidying Up With Marie Kondo. Before you go any further, be sure to grab our Decluttering Questions Cheat Sheet. Enter your email below to have it sent right to your inbox so you can get started right away! The thing is, packing a suitcase doesn’t have to be complicated or overwhelming. 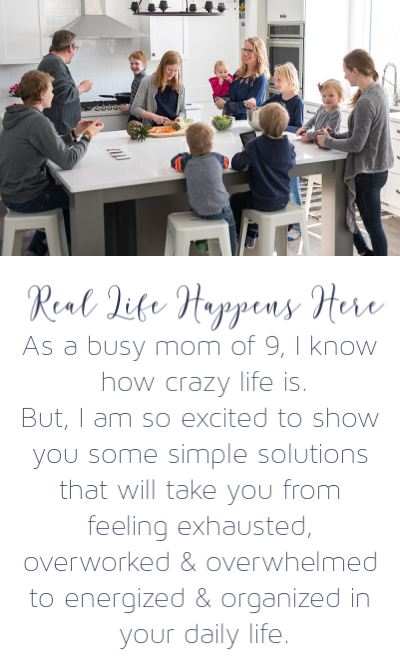 As a mom of 9, I know firsthand the struggles that come when packing for my kids and entire family. 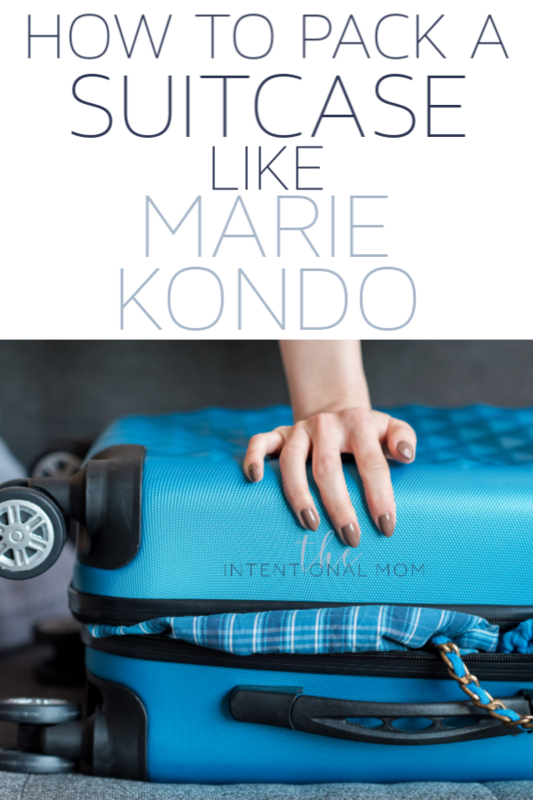 But, when you use Marie Kondo’s Tidying Up principles, you really can learn how to pack a suitcase efficiently for a week or more – even if all you have is a carry on! Prefer a video? Watch how to pack a suitcase or carry on using Marie Kondo strategies below! 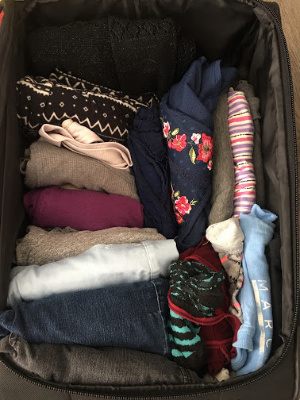 This is exactly what you need to do to pack a suitcase using Tidying Up With Marie Kondo tips. First, gather everything you think you will need to pack in your suitcase in one pile. Don’t worry about keeping it neat or if things are folded. We’ll work with that in a few minutes. For now, just get everything you think you’ll need together in one place. Make sure to grab your suitcase, too. On her show, Tidying Up With Marie Kondo, Marie asks you to question whether the things you have bring you joy. Find Marie Kondo’s book on Kon Marie HERE for a more detailed explanation of joy as she refers to it. While I don’t think that applies exactly here, if you’re like me, you bring more than you need when you travel. I think this is because we don’t really ask ourselves if we truly, truly need every single thing we pack. On this step, you will want to look at every single item in your pile and ask yourself honestly if you really need it. For example, could you bring one shirt or pair of pants to work with outfits for more than one day? Could you limit the amount of makeup you bring? Could you bring a different pair of shoes that will work with more outfits rather than bringing an extra pair of shoes along? It’s amazing how you can reduce the original pile you gathered by making sure that every single thing in your suitcase will be things you really, truly need. Once you are certain that you actually need everything in your pile, it’s time to organize it the Marie Kondo way. Everything you have should fall into these five categories. Put your things into these five groups and separate them. 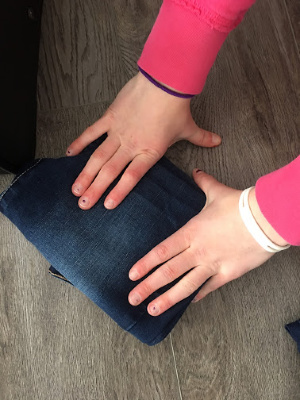 Folding clothes like shown in this video here will help you get more in your suitcase. This is exactly how Marie Kondo teaches you to fold clothes on her show, Tidying Up, so fill your drawers and closets with your clothes this same way. I’ve packed a lot of suitcases for a lot of people over the years. We even brought our entire family to Mexico for a week and only had a carry on for each person. 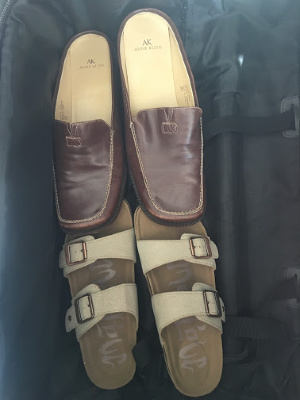 While I might have moved shoes around a bit later to make them fit even better, when it comes to packing the suitcase it helps to start with shoes on the bottom – at least at first. This should go fairly quickly since your clothes are all properly folded at this point. 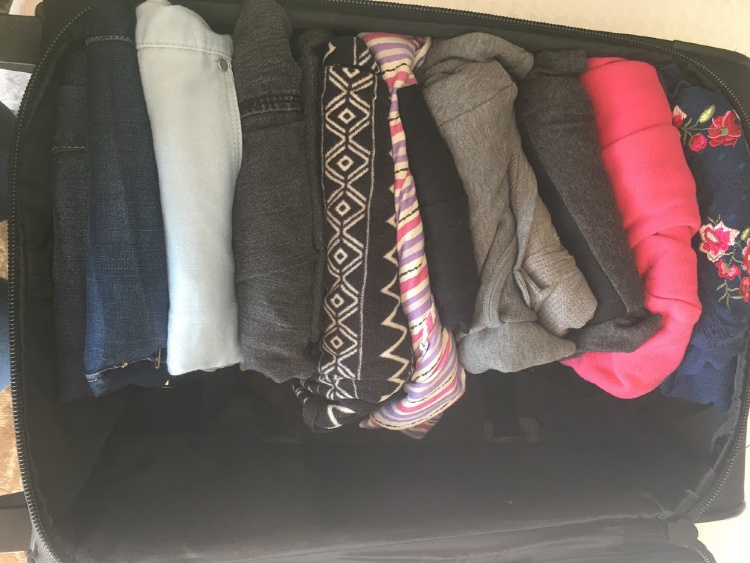 Your clothes should go into your suitcase standing on edge with the open edges down. The only exception would be if you’re packing baby clothes, which is something I am always doing and address in this video here. At this point, you should have most of your suitcase packed. Now it’s time to pack all the extras. This would be your toiletries, many of your personal items, and things in your miscellaneous category. To a large extent, this will take you looking at what you have, deciding where and how it will fit best, and then playing around with it. Start packing some of these leftover items in your suitcase, and move them around as needed in order to make them fit best. This could be a pocket in your suitcase. It could also mean that you’re just filling in the gaps between things you’ve already packed. If you’ve ever done a puzzle, you can do this step. Get creative and tap your inner Marie Kondo. The video shows this well HERE. It could be that you will pack your suitcase most efficiently by unpacking some of your things. 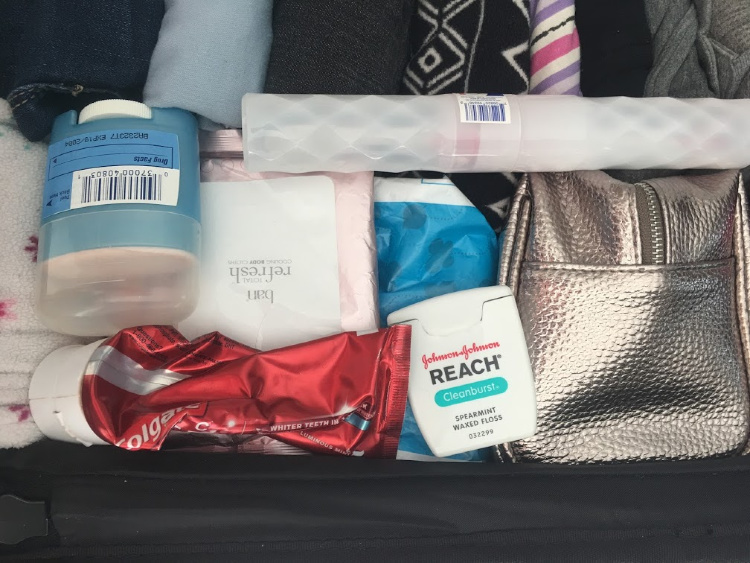 This could include your toiletries bag, your makeup bag, and more. If you’re struggling to make things fit in your suitcase or carry on, don’t be afraid to get creative. Honestly, I think this is the biggest takeaway from Tidying Up With Marie Kondo – to look at things differently. I love how Kondo encourages people to get creative, to get rid of things that aren’t serving you, and to get more organanized in the process. Traveling is amazing, but knowing how to pack a suitcase can take something fun and turn it into something overwhelming. Again, the video will be the easiest way to see this in action. Just like your home can get filled with clutter, your suitcase can, too. By applying the strategies Marie Kondo teaches in her show, Tidying Up, traveling can be fun, stress-free, and an opportunity to really start deciding whether your things are a blessing in your life or not. Applying the Tidying Up systems to packing a suitcase efficiently will certainly bring you much more joy when it comes to making everything fit. Wondering how to pack a suitcase efficiently? Looking for ways to apply the same principles Marie Kondo teaches in her Netflix show, Tidying Up, maximize the space you have in your suitcase or carry on?